Tonight on Soap Nation Live! 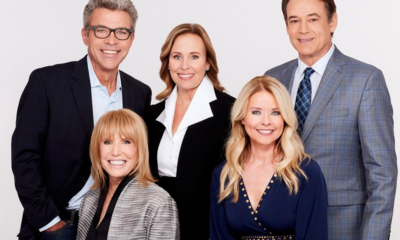 with Michael Fairman,we celebrate the just announced 43rd Annual Daytime Emmy Nominations with our third annual special broadcast! Join Michael and his in-studio co-host Daytime Emmy winner, General Hospital’s Laura Wright in our 90 minute plus Daytime Emmy Nominations spectacular. 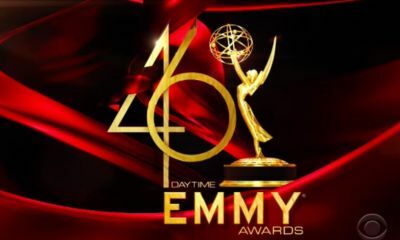 Michael and Laura will be joined by NATAS Senior VP Daytime Emmys, David Michaels who will be on hand to offer commentary on the Emmy voting and more. Listen in as we welcome nominees: Kassie DePaiva, Melissa Reeves, Tyler Christopher, Nicolas Bechtel, Jacob Young, Linsey Godfey, Dee Wallace, Christian LeBlanc, Brooklyn Rae Silzer, Bryan Craig, and many more! Make sure to listen for our Daytime Emmy trivia game show segment, when one lucky caller has the chance to win two VIP tickets to the GH Soap Fantasy event on April 16th in Nashville, Tennessee. To call-in and share your thoughts on the nominations of who got in, and who was snubbed and more, or to pose a question or a comment to any of our guests, dial the exclusive listener-line at 877-564-9088 This 90 minute special event begins to stream live at 7PMPST/10PMEST. You can also head on over to http://www.spreaker.com/user/soapnationlive if you have any trouble listening to the show here. Now, listen live to the broadcast after the jump! If you are tuning in shortly before 7PMPST, you will hear some musical interludes before we go live for showtime. We hope you enjoy the show. What Went On Behind The Scenes That Caused The Daytime Emmys To Not Be Televised This Year! Most of our Goldies winners (goldderby.com) have been nominated – except for Christopher Sean and Judi Evans – Kassie DePaiva, Justin Hartley, Nicholas Bechtel and Brooklyn Rae Silzer. Altho we chose Days for Best Writing, B&B was our pick for Best Directing. Days was our winner for Best Drama Series. Eileen Davidson won for Guest Performer for Days. I really want Kassie to win the most! Supporting Actress is a four way tie for me without Judi Evans as a nominee. Jessica Collins, Peggy McCay, Melissa Reeves or Lauralee Bell all would be worthwhile winners. Supporting Actor is the worst category for me this year, only Jacob Young really deserves to win imo. 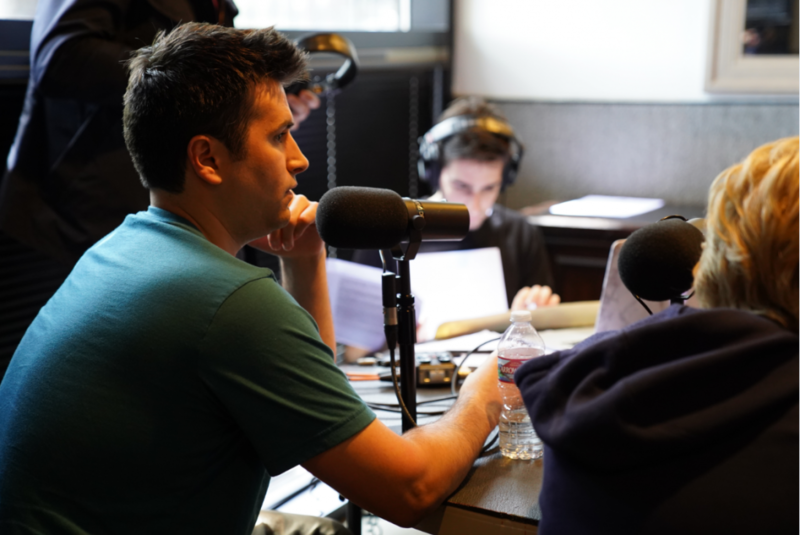 Bryan Datillo didn’t submit, but I wish Christopher Sean had been nominated. I was going to call in. I thought better of it– I might become overly enthusiastic ! me– Hi Michel! this is Su0000 !! michael– (silently) 0ohh dear lord it’s her, it’s that Su000 ! me– I have a lot to say! / michael to himself ”what do I do now? Anyways.. I enjoyed the show, as always ! When actors of BB and Days were on, I went to the kitchen, bathroom and took garbage out etc, because I am not familiar with any of them (only watch GH/Y&R..
Michael Fairman really brings us the best (he has a great job!) It was fun ..
Su…I’m with you on your favs. Loved Dee. Wish she had had more time in GH. Little bias in Laura’s part when it came to talking with Bryan?…but well deserved. Can just see Maura, Laura and “some of the girls” at a pool party comparing notes…with the beverage MF didn’t supply. Did listen to the father of Kayla from B&B. He had a lot to say, and really moved the bar up in his role. I caught the tail end of the show… Bryan Craig : Outstanding Younger Actor in a Drama Series. Dear Michael – will you kindly provide us with the Emmy reels submitted, like you did last year? I greatly enjoyed them – and as you know, it’s all in the reel! Congratulations on a wonderful job. It is easy to get jaded in our respective communities of work, but after listening to you, Laura and David, it made me appreciate the love all of you have for the soap opera genre. 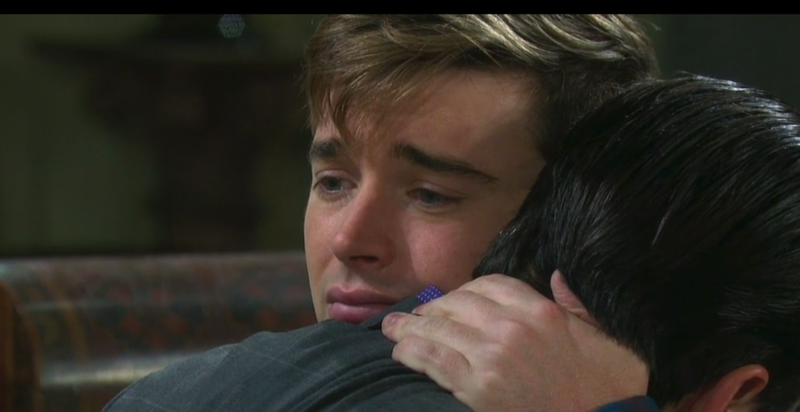 It was so great to hear the wonderful respect all of the actors have for the soap community. Jacob Young, Tyler Christopher, Maura West, Melissa Reeves, Dee Wallace, Lindsey Godfey and Bryan Craig were so appreciative not only for their nominations, but for all of the hard work that goes into producing five shows a week, 52 weeks a year. I loved Tyler’s story of how much he learned from Tony Geary, Genie Francis and even a young Jonathan Jackson. Most importantly, it was refreshing to hear what a great cheerleader Laura Wright was for so many of the female nominees. We live in a world that constantly pits women against each other, yet Laura was so excited for Maura West, Finola, Missy Reeves and the incredible Kassie D. She was so nurturing and sincerely thrilled for Brooklyn and Bryan. She couldn’t have been more wonderful and lovely. Beautiful job, Michael. We appreciate your hard work in keeping the soap community alive and keeping the fans informed. Agree with your comments. Laura and MF really brought their “awards” to life.